AWOA Serving the greater Fort Lauderdale area, AWOA offers exceptional Social Media options for local and national accounts. Please contact 954-675-3062. Social media marketing company in Fort Lauderdale serving south Florida and businesses in North America. A Work Of Art, Inc. uses social media marketing to enhance the effectiveness of SEO and also market our client’s businesses by reaching millions of prospective consumers in your specific demographic be engaging them with interactive strategies and promoting useful information developed for your company. When marketing you business on social media websites there are numerous protocols that must be followed to maximize your reach and effectiveness. Most people think that creating an account and posting each day will be enough to get started but nothing could be farther from the truth. The way you post, what you post and how you do it is just the beginning. Good social media marketing goes way beyond these basics. Cross platform marketing strategies must be implemented using your website and blog. Viral marketing is a huge factor in gaining connections and a loyal following. We also create apps that have a much more powerful reach that goes deep into several levels of user bases and reaches segments of the public that you normally would never have the chance to speak to or market to. There are many different social media platforms such as LinkedIn, Facebook, Twitter, Instagram, Pinterest, Google+, Tumbler, Flickr, Stumbleupon, Kudzu, just to name a few. When you post information, contests, questions and other means of engagement the way you post your information can help you or even hurt your website ranking if you are not knowledgable in what you enter. The ever-changing algorithms of search engines dictate how you must properly write your content. Give our Fort Lauderdale based social media marketing company a call and let us show you how beneficial social media marketing can be to your business! How to Go Viral on Social Media Viral marketing is the truest and most natural form of branding and advertising. Step by Step Social Media Social media is a key component in an overall internet marketing campaign. Social Media Marketing for business Social media and its powerful reach. Empower your company and drive traffic to your website. 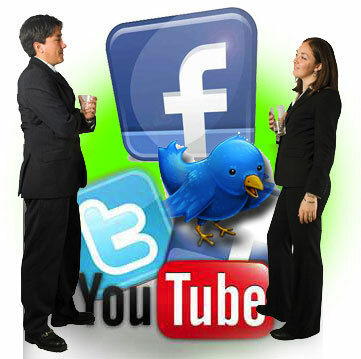 Specialized International Social Media Marketing Social media marketing for international companies.